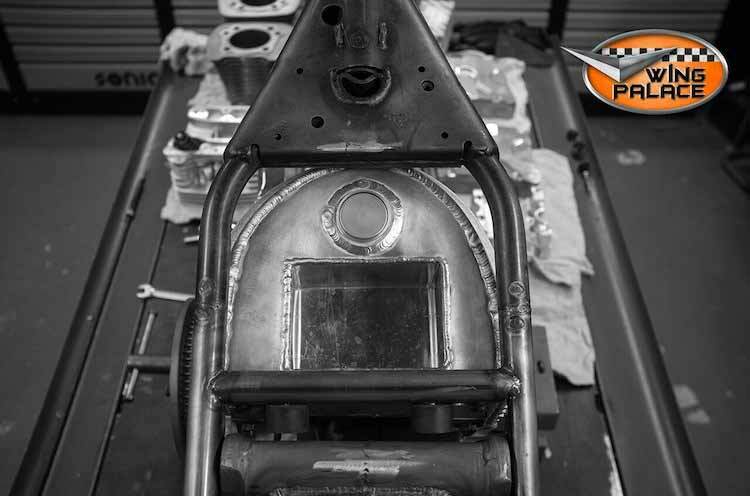 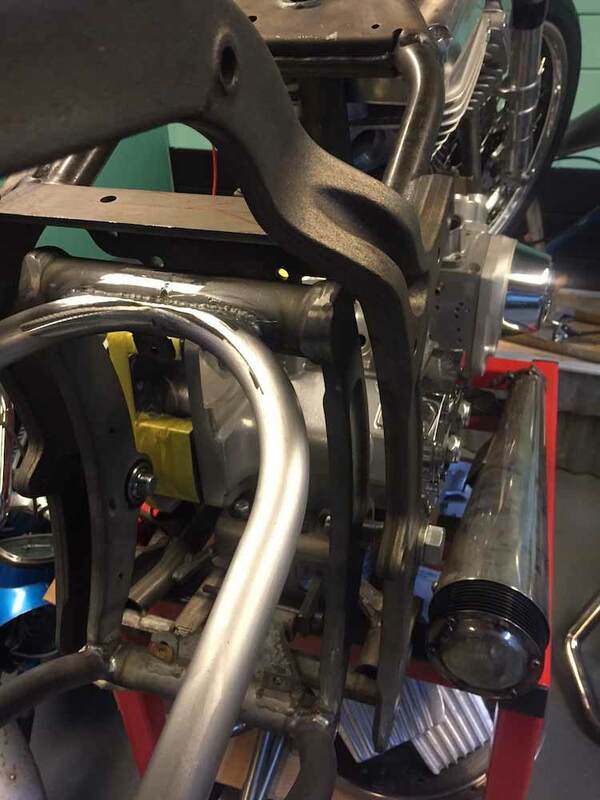 We started to build this bike to make a good driver for long distance and lots of performance. 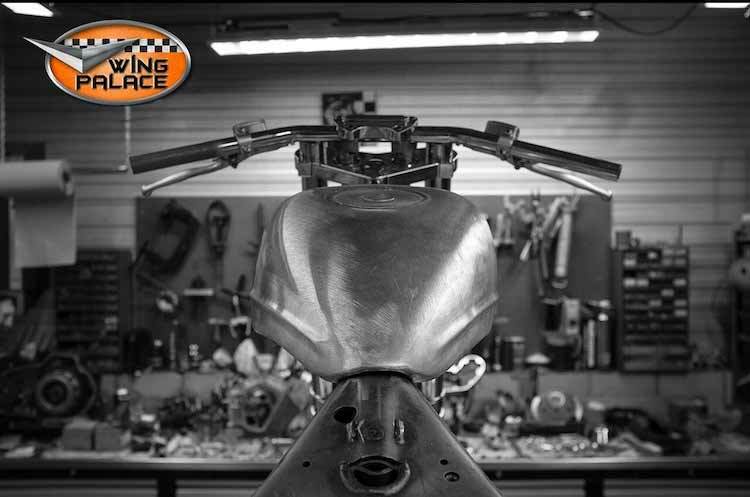 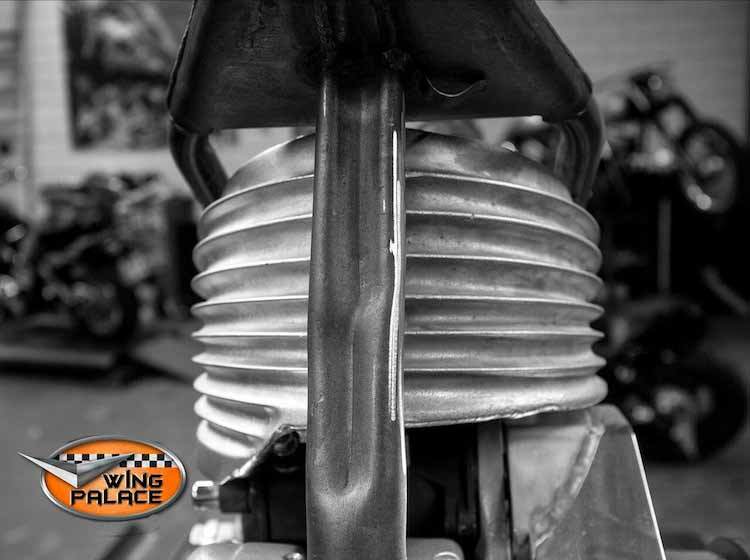 But we wanted to give the bike a slim and “ instant speed look” like the early drag race bikes. 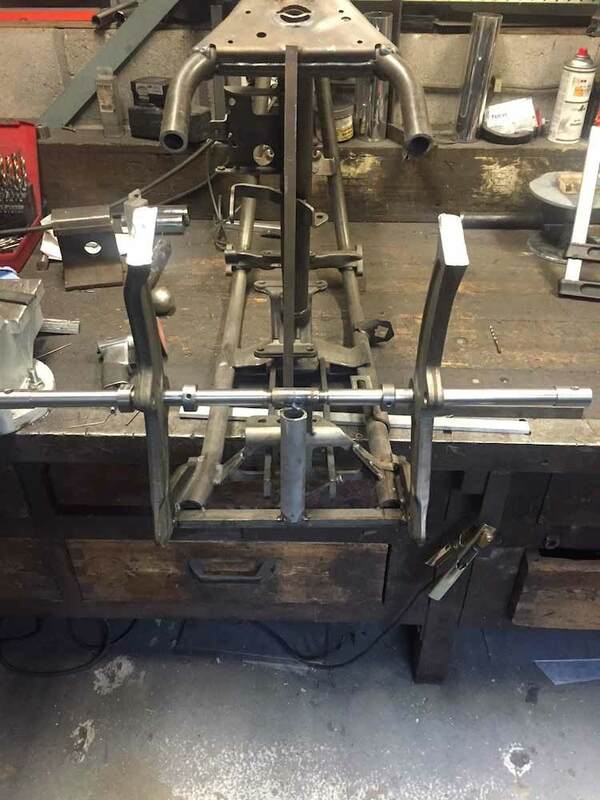 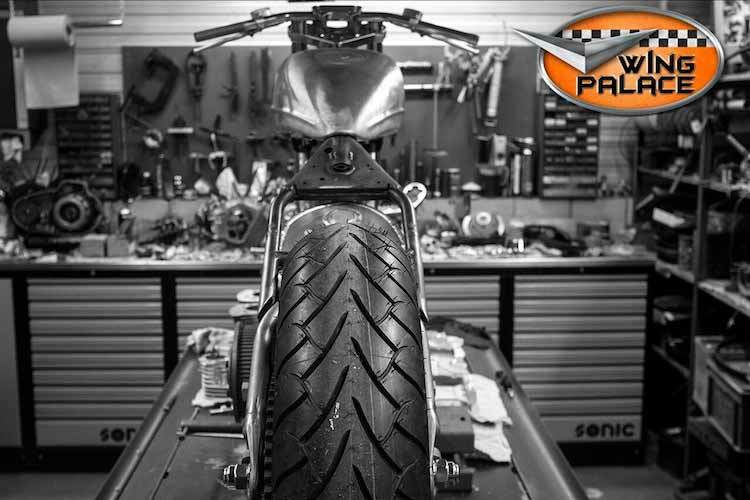 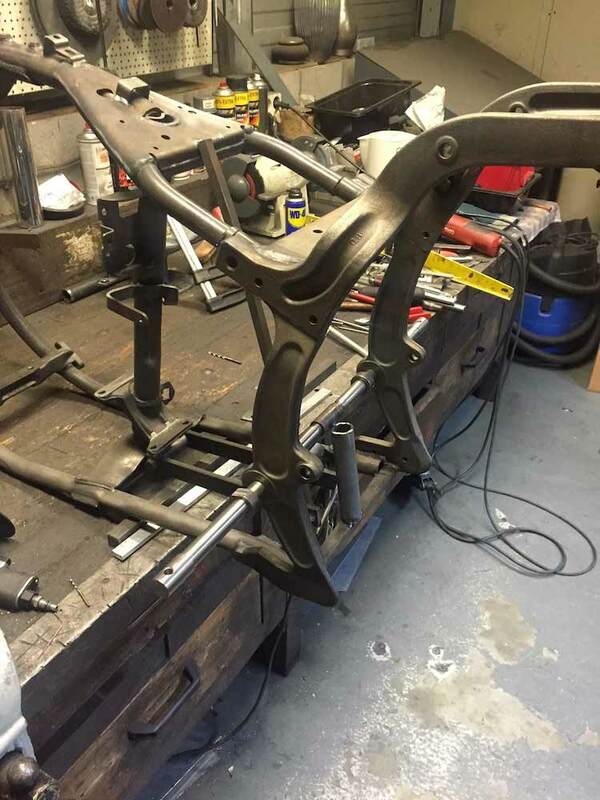 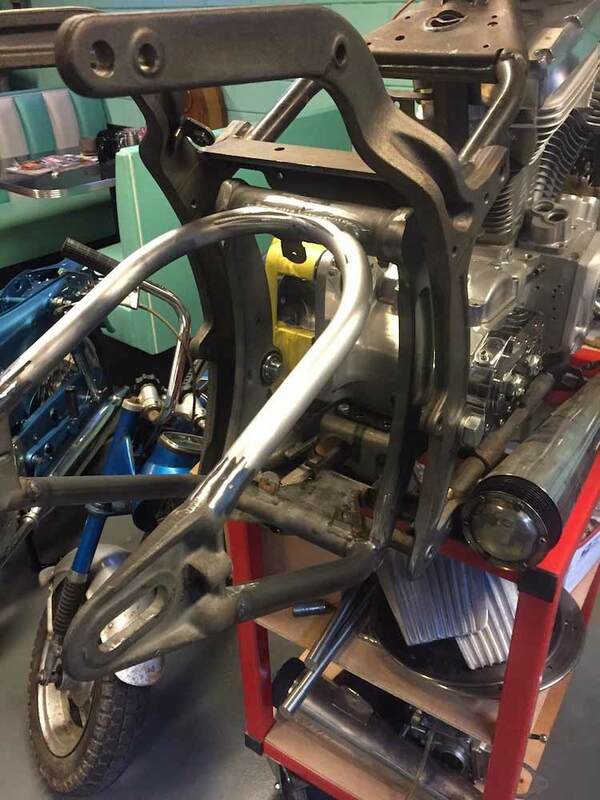 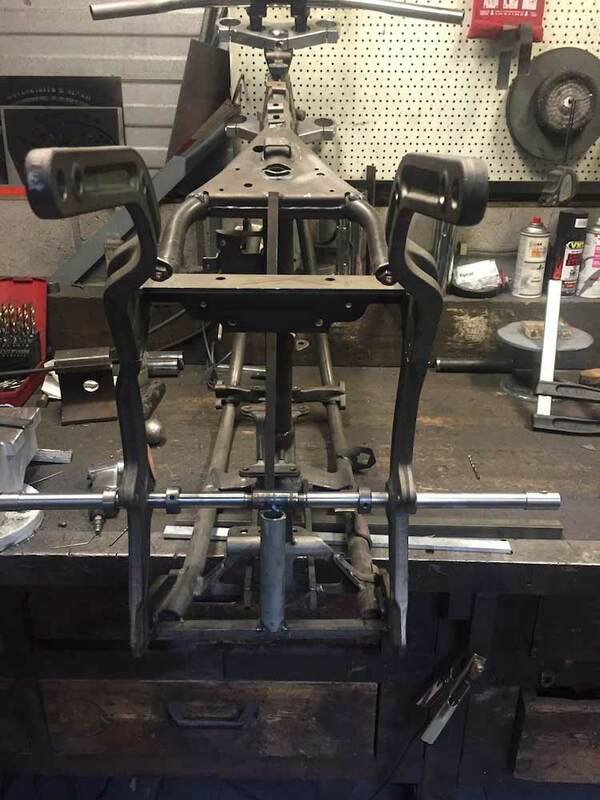 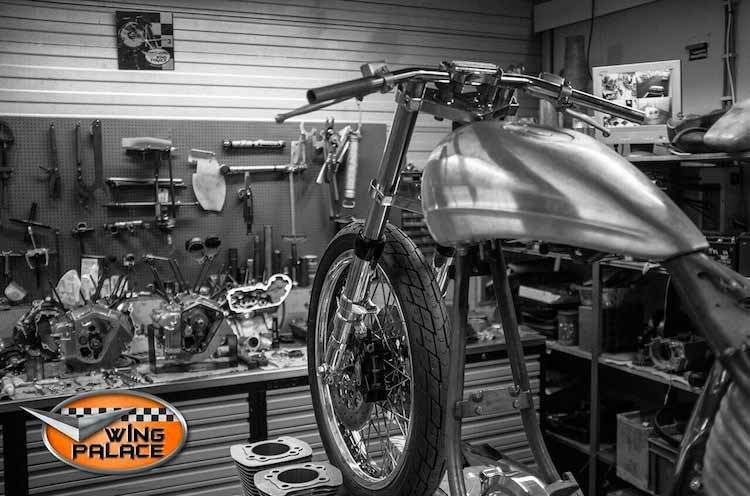 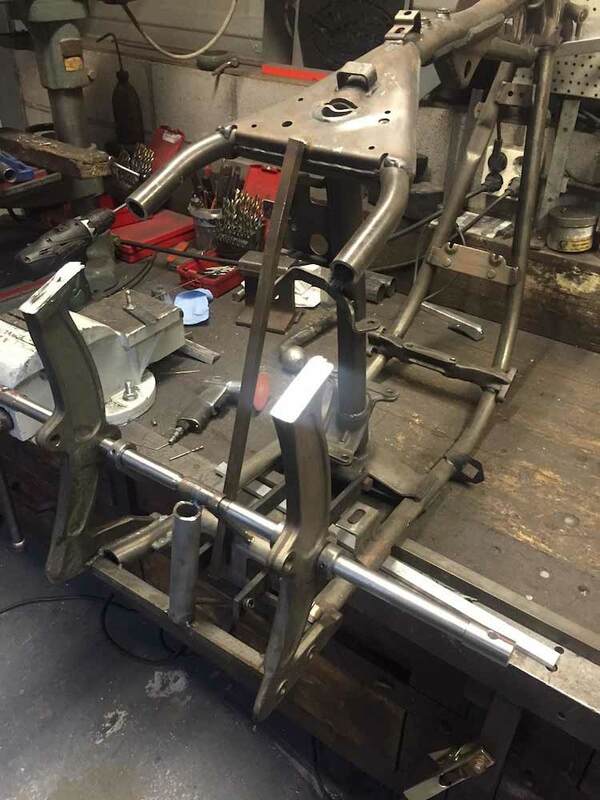 To create that look , we narrowed the rear section of the frame 2 inches ( 5 cm) and made a new swing arm for it , to fit the narrow rear frame. 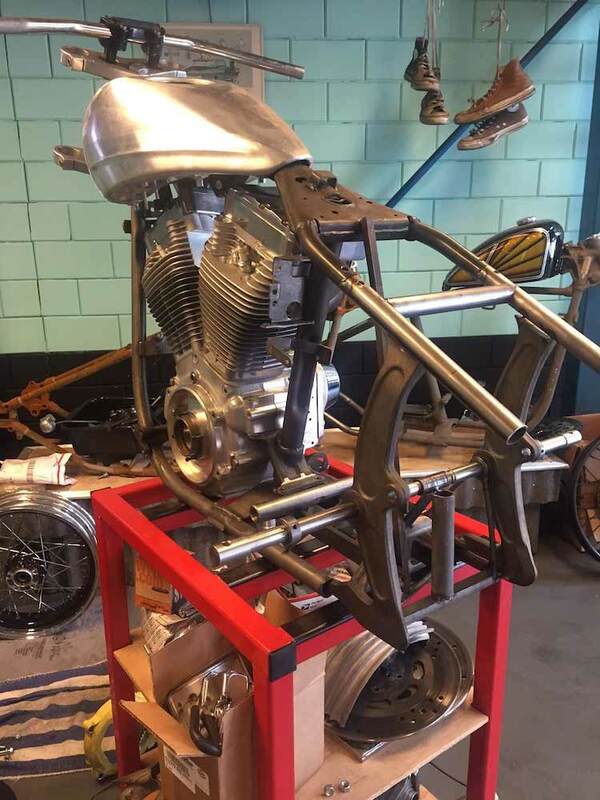 To give the bike a racey look, we made al lot of the parts from aluminum (oil tank, gas tank , rear tail section , wheels and many more) and put no chrome on it. 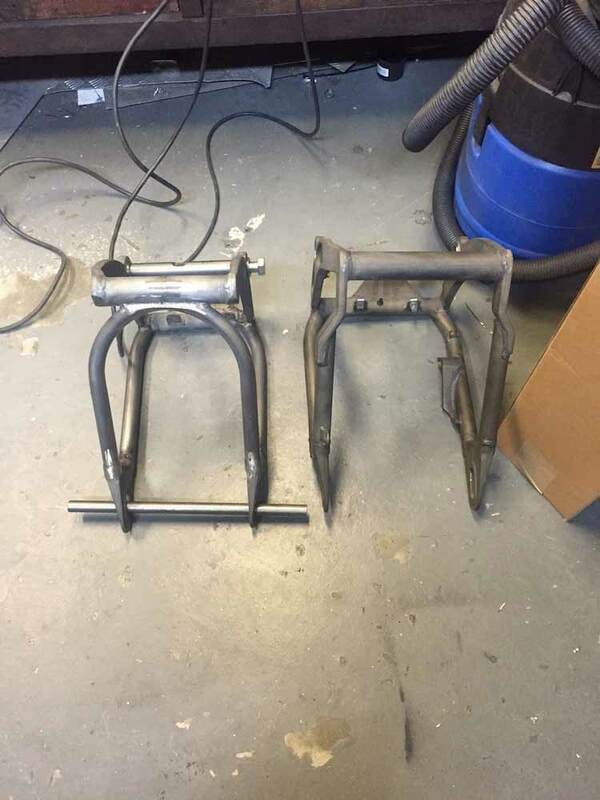 A very good front fork with big dual brake calibers. 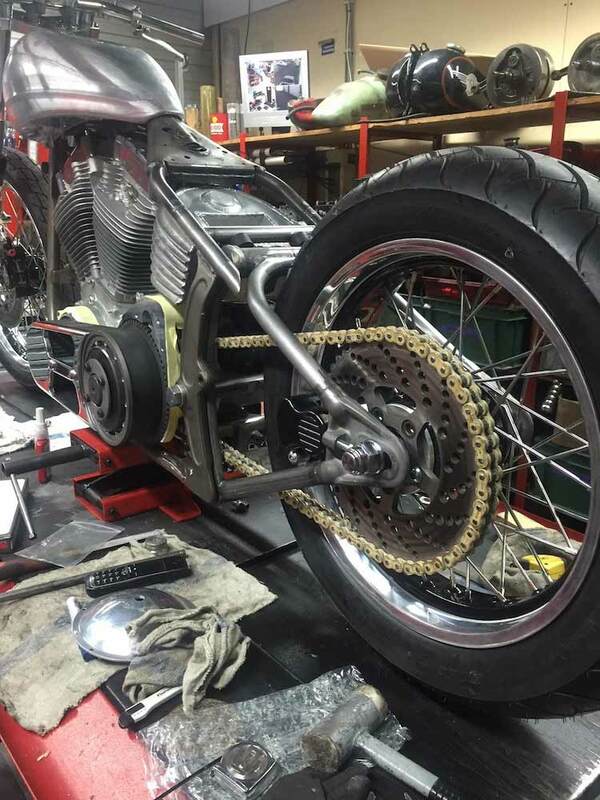 And for a clean and open look a sprocket brake in the rear.